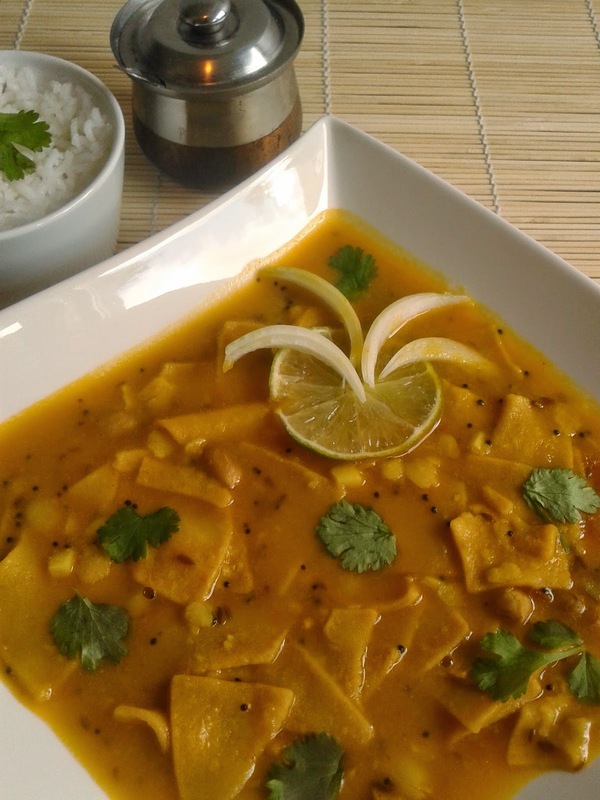 Dal Dhokli is a traditional Gujarati dish prepared with toor dal and wheat flour. 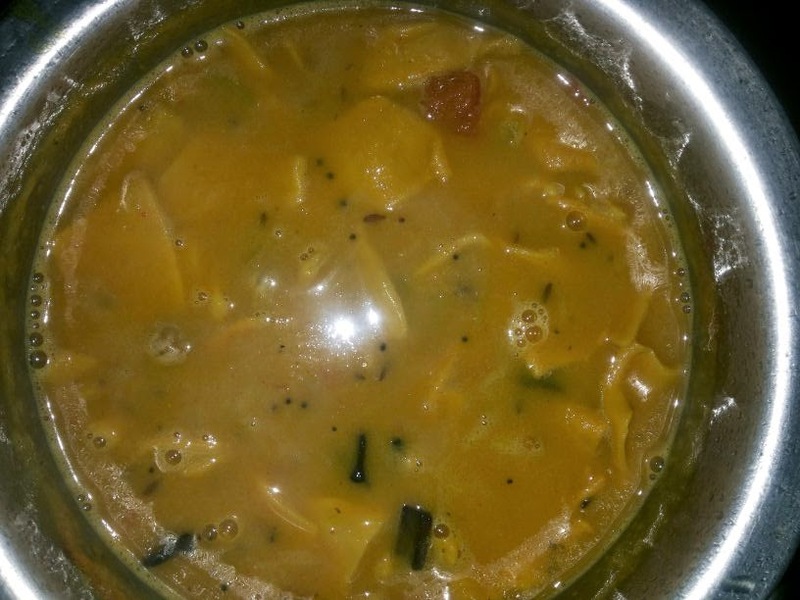 It is typically made on a Sunday afternoon to break from the lunch routine of dal, rice, roti. 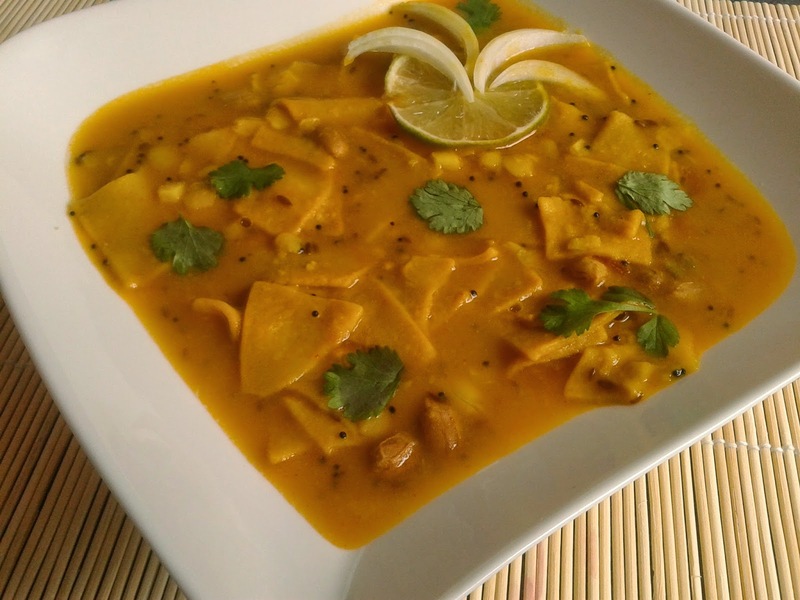 This dish is made of sweet and spicy dal with crunchy peanuts and wheat flour dhoklis. 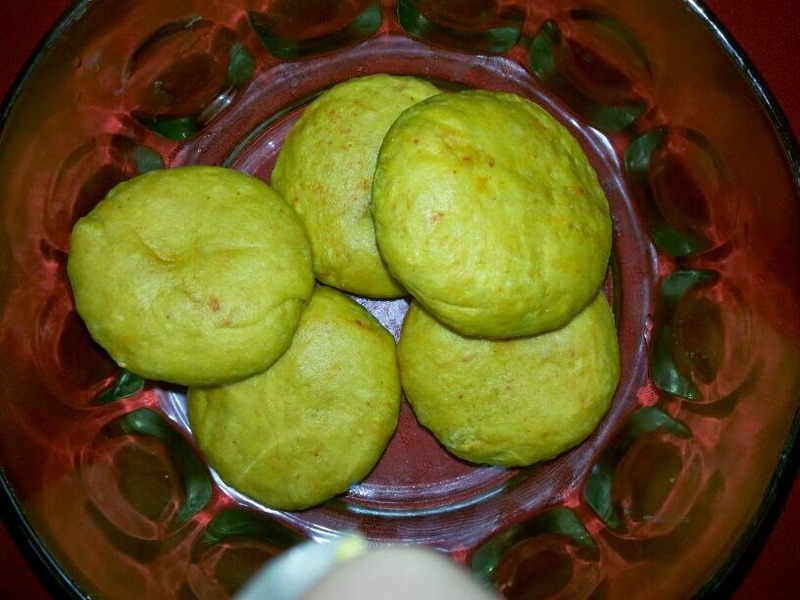 It is a main dish but can also be served with onions and steamed rice by side. 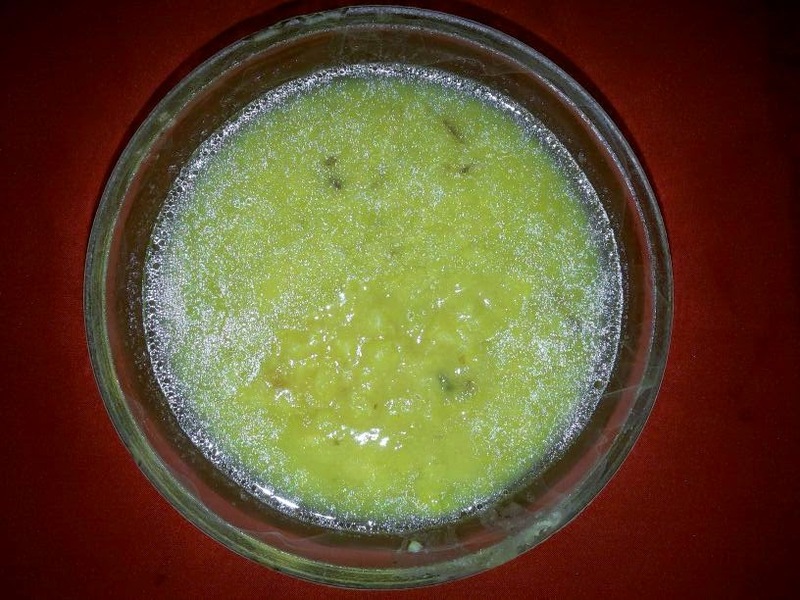 And of course as its popular in Guajarati's with chaas (Butter Milk). So lets proceed step by step. 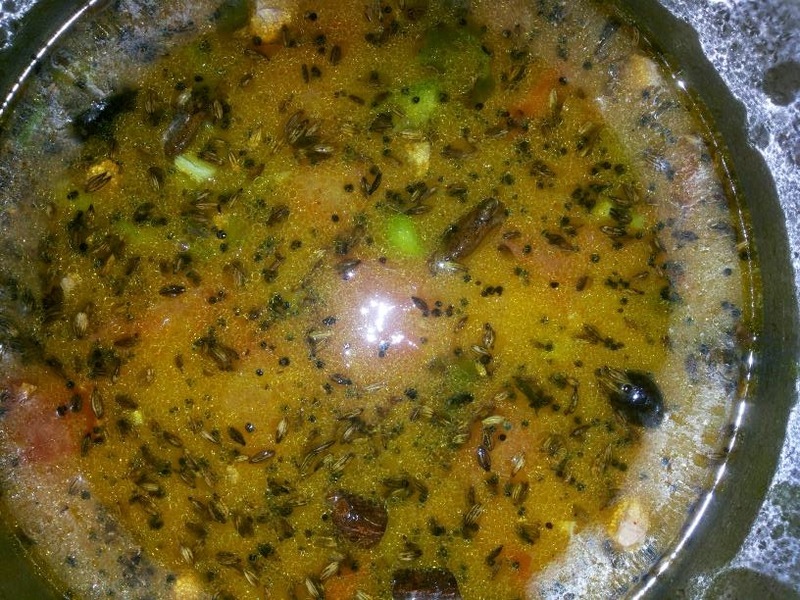 1.Wash and rinse the dal properly and pressure cook for 3 whistles with 1 and 1/2 cups of water. Allow the pressure cooker to cool and blend the dal very nicely. 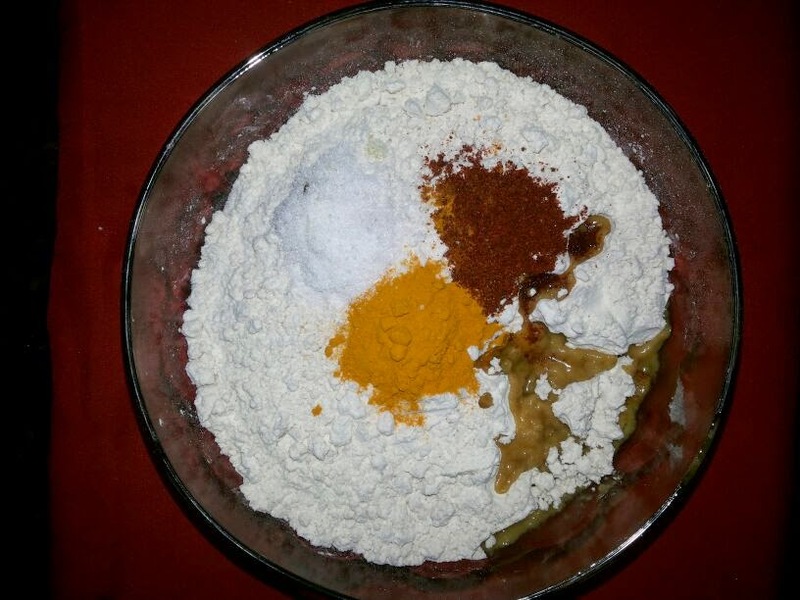 3.Add the boiled and blended dal, 3 cups of water, turmeric powder, chilli powder, chopped ginger, chillies, peanuts and salt and mix well. 4.Bring it to boil and simmer it for 5 minutes. Now add the cut dhoklis to dal and stir gently. 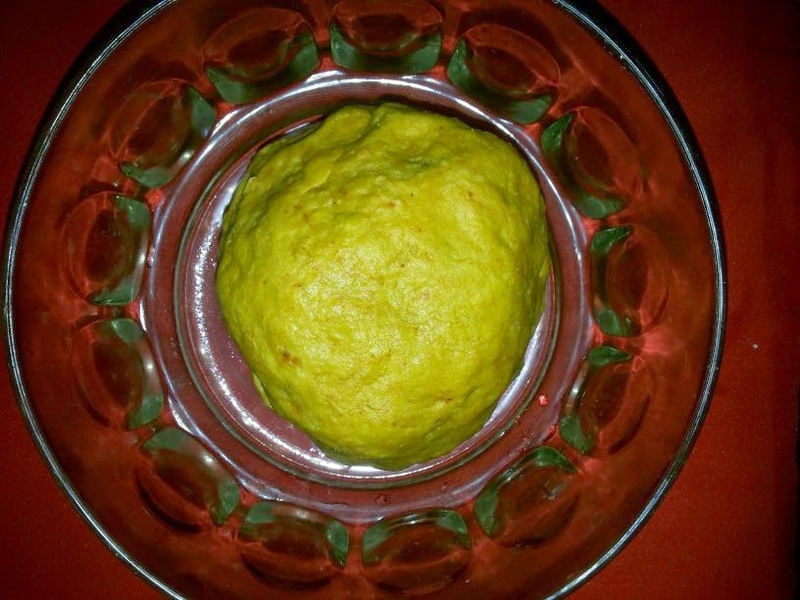 5.Cook the dhoklis for about 10 minutes and add water if the dal thickens while simmering and add lemon juice. Garnish it with coriander leaves and serve hot with ghee, rice, onions and lemon wedge. Sweet and spicy dal made with crunchy peanuts and flour dhoklis. In a large bowl mix all the ingredients and knead it to a soft dough. 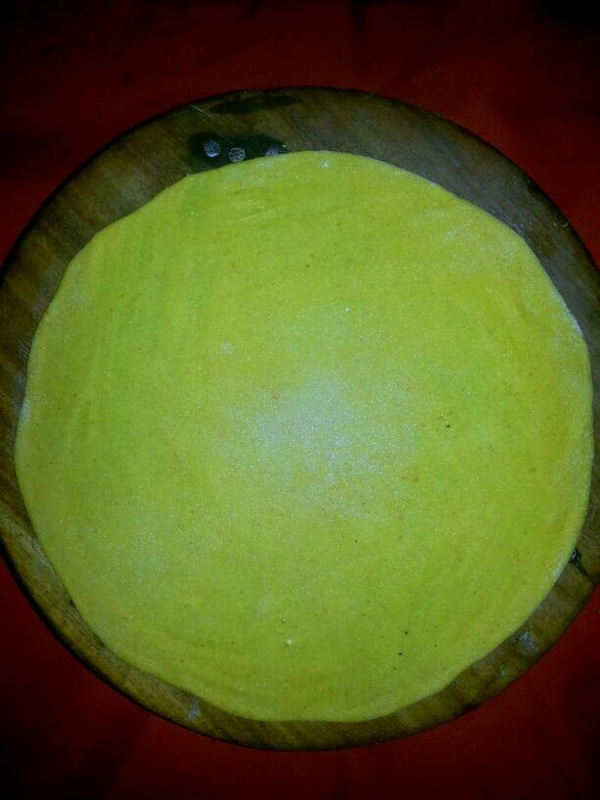 Divide it into equal portions and roll out into flat chapatis. 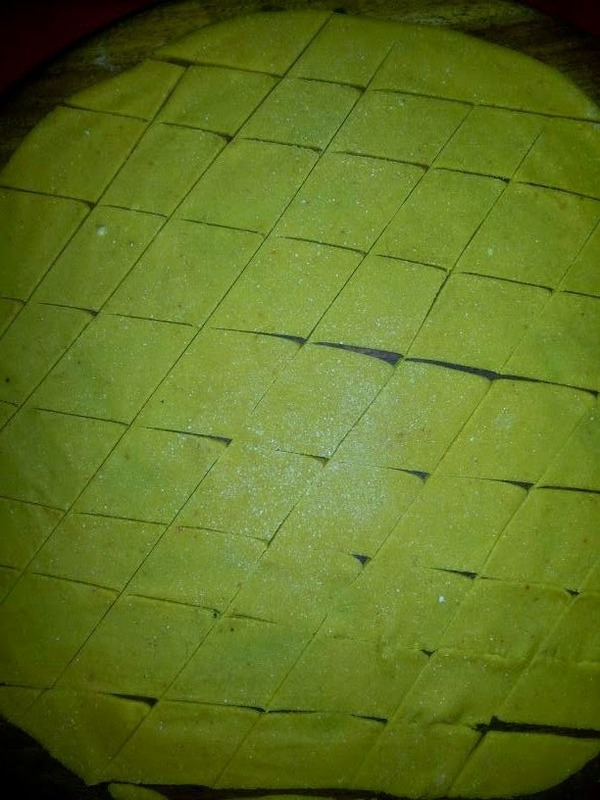 Cut the chapati into diamond shaped squares and keep aside. Wash and rinse the dal properly and pressure cook for 3 whistles with 1 and 1/2 cups of water. 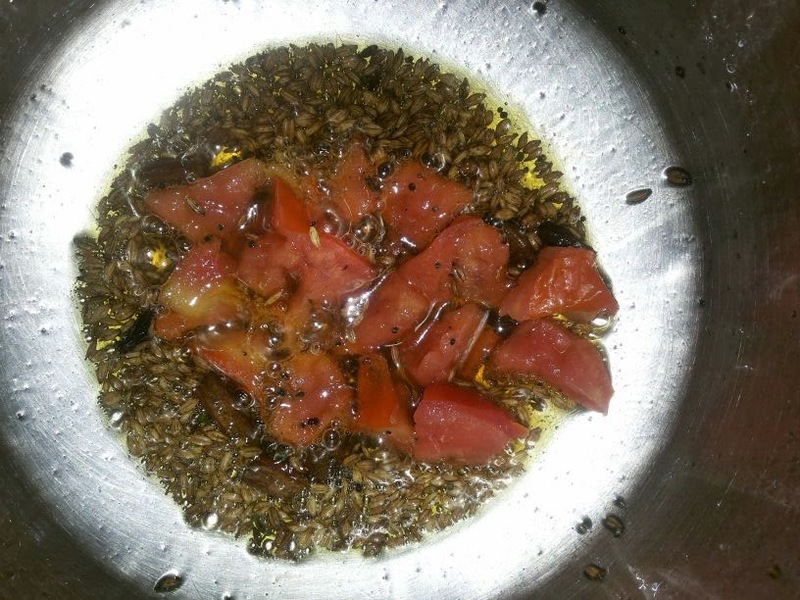 Heat oil in a deep bottom pan and add mustard seeds. Let them crackle and add cumin seeds, curry leaves, cinnamon, cloves. Mix well and sauté on a medium flame for a minute and add chopped tomatoes. Add the boiled and blended dal, 3 cups of water, turmeric powder, chilli powder, chopped ginger, chillies, peanuts and salt and mix well. Bring it to boil and simmer it for 5 minutes. Now add the cut dhoklis to dal and stir gently. Cook the dhoklis for about 10 minutes in the dal. Add water if the dal thickens too much while simmering and add lemon juice. 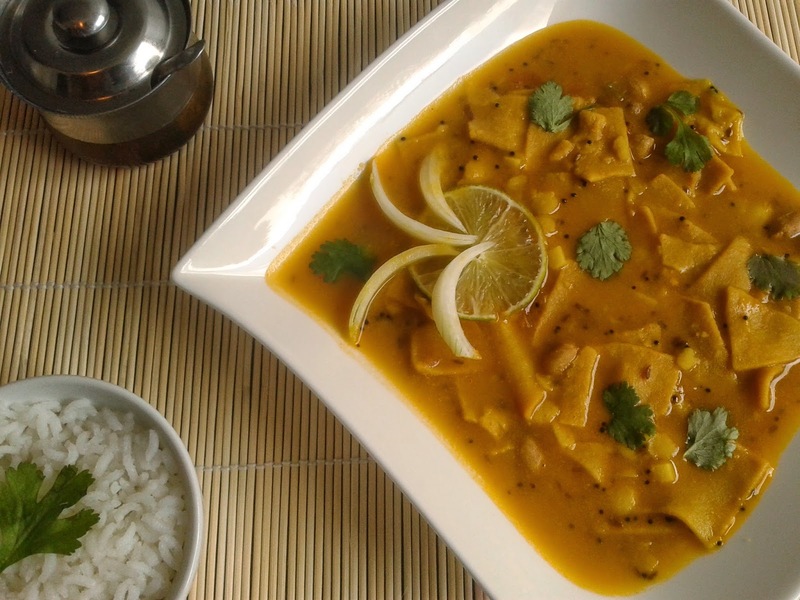 Garnish it with coriander leaves and serve hot with rice, onion and lemon wedge. © VegRecipeWorld.com@2014. Powered by Blogger.